Hardly known in the safari world, Nxai Pan is nevertheless one of the most under-rated parks in Botswana and can be visited year round, providing differing experiences during the wet and dry seasons. 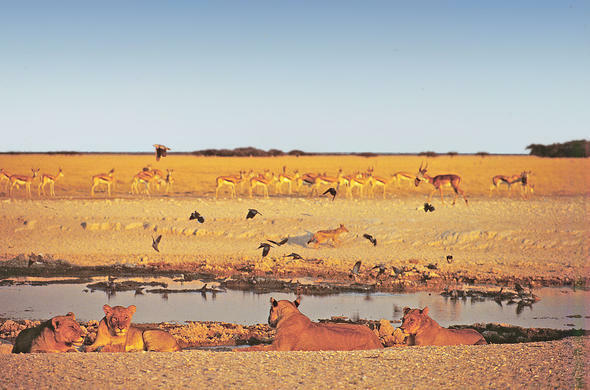 Nxai Pan National Park is part of the Makgadikgadi Pans system of central Botswana, and although much smaller in size to the two famous pans the park nonetheless provides a wilderness experience like no other. Very dry and arid during the dry winter months and lush and fertile during the wet summer months the park is a top attraction all year round. The pan itself is a 40 sqkm fossilized lakebed and forms the main feature of the National Park with the rest of the park made up of grasslands and scrub acacia trees. During the rainy season the plains are covered in lush new grasses that attract great herds of animals to the area. Considered by some to be the largest migration of animals in southern Africa thousands of Zebra and Wildebeest move into the area to feed on the new grasses and to give birth. These herds mingle with the resident animals of Nxai Pan including Eland, Oryx and Hartebeest and they stay until the water begins to dry up before heading north again to regions of permanent water. During the dry season the surface water has all but disappeared leaving only some permanent waterholes for the resident animals to drink from and this in turn provides ideal hunting grounds for the resident lion prides lying in wait in the scattered shade of the acacias. 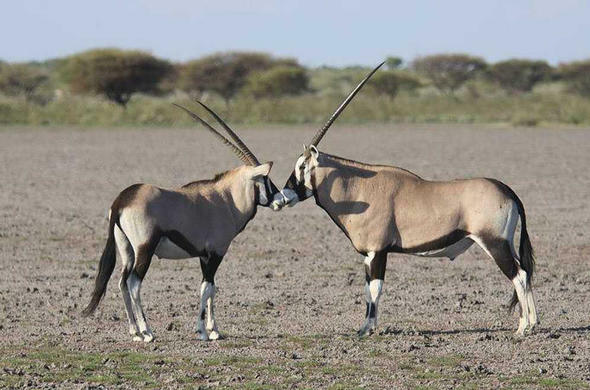 Animals that have adapted to this harsh environment are the aforementioned Eland, Oryx and Haartebeest and also include Springbok and Impala. 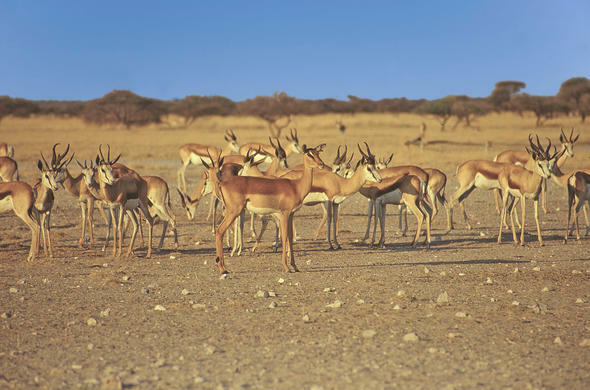 In fact Nxai Pan is one of the very few places in Africa where the Impala and Springbok overlap in their range. Other animals found in Nxai Pan include predators such as Cheetah, Leopard, Jackal and the shy and rarely seen Brown Hyena. These predators find enough prey all year round, even during the driest of months. Elephant and giraffe can be seen on occasion and the very rare white rhino is sometimes encountered. The waterholes of Nxai Pan during the dry season provide some of the most dramatic predator prey action in Africa. Thirsty animals have to come down and drink with the lions in full sight and many times during the day the air is sprayed in the dust of an attempted kill. In fact so dramatic is this interaction that the legendary IMAX film "Roar: Lions of the Kalahari" was filmed at the main waterhole in the park.